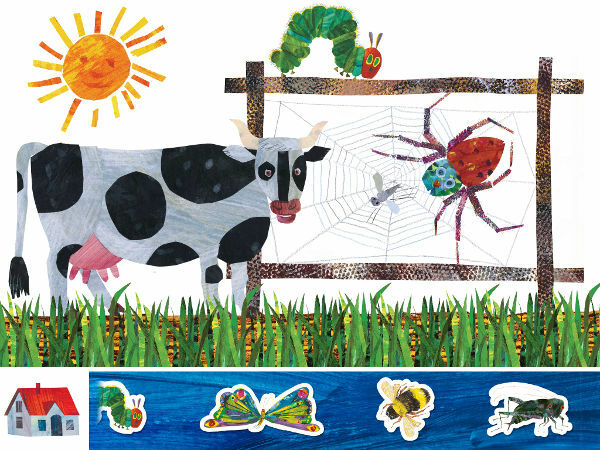 If you love the beautiful illustrations of Eric Carle, now you (or your child!) can create them all by yourself! There probably aren’t many households containing small children that don’t also contain at least one copy of Eric Carle’s classic picture book, The Very Hungry Caterpillar. At our house, we have three copies. No matter how many times I read it aloud, I never fail to be stunned by the gorgeous illustrations. I love it so much that we have even based a first birthday party around it. And that’s what’s so special about The Very Hungry Caterpillar & Friends Stickerbook app from Night and Day Studios – it takes a story and pictures which are familiar, and allows your child to create something totally new with them. 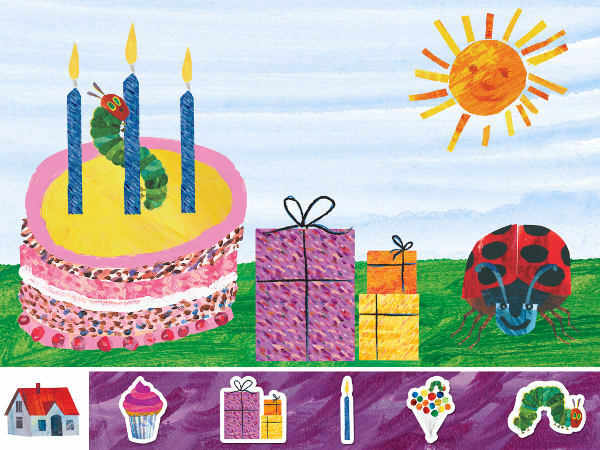 There are five different basic backgrounds to choose from, and more than fifty separate Eric Carle illustrations to drag and drop into place. The illustrations range from beautiful butterflies (of course!) and other bugs and critters, right through to food, party and weather-related pictures. One thing I loved about it was how easy it was to use, even for my two-year-old. The images can be dragged onto the background picture an infinite number of times, and my girls had a great time creating “very cloudy days”, as well as “very sunny days, Mum!” – where there were multiple bright yellow suns in the sky! A tap and drag easily removes the images from the picture as well, so there are no tears over pictures that didn’t turn out perfectly (which is one of the advantages an app like this has over a real stickerbook, in my mind). Once the pictures are just how they were imagined, there is a screenshot function which saves all your beautiful creations, and you can even message and email them from within the app. 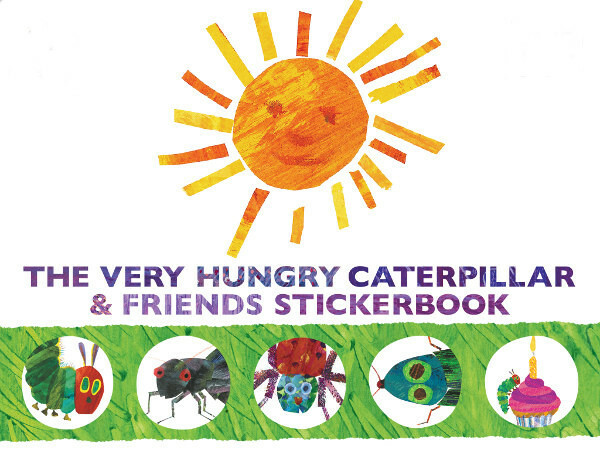 Find and download The Very Hungry Caterpillar & Friends Stickerbook for iPhone or iPad from iTunes for $1.99. Then check our previous posts for Very Hungry Caterpillar party ideas.